Discover The Great Everything Origin Story: Where Do We Come From? Richard Wagner is one of the most influential musicians of the 19th century, and is widely considered a pioneer of modern music.In this ART episode, I take a look at his revolutionary opera, Tristan und Isolde, and how his use of recurring themes (leitmotifs) and delayed gratification, lead to one of the great musical orgasms of all time. Yes, I’m talking literal orgasms. The opera ends with a lady singing, dying and climaxing, all at the same time. Yuck. But also hey, pretty sounds!Music:- ‘Vorspiel’, from Das Rheingold, cond. Georg Solti, Vienna Philharmonic- ‘Prelude to I Act’, from Tristan und Isolde, cond. Willhelm Furtwrangler, Philarmionia Orchestra- ‘Begehrt, Herrin, was Ihr wunsch’, from Tristan und Isolde, cond. Herbert von Karajan, Berlin Philarmonic- ‘Liebestod’, from Tristan und Isolde, cond. Karl Böhme, Bayreuth Festival OrchestraBe the glue in the cracks of my fractured ego. 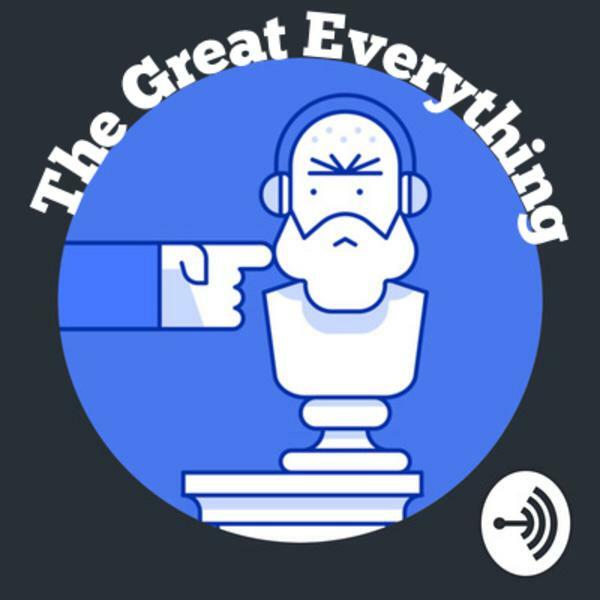 Leave a review on iTunes and show love on TheGreatEverything.com !